As per the Child and Adolescent Labour (Prohibition and Regulation) Act, 1986, as amended in 2016 ("CLPR Act"), a "Child" is defined as any person below the age of 14 years. Child labor has been on a decline, but at an abysmal rate of 2.2% per year from 2001 to 2011, despite decades of social and economic reforms. Over the past two decades, India has put in place a range of laws, policies, schemes, and programmes to address the problem of child labor, however, the issue of child labor cannot be dealt with in isolation since it is linked to various socio-economic factors. In India, there are several legislations that restrict, regulate the employment of child labor and enforce the rights of children. 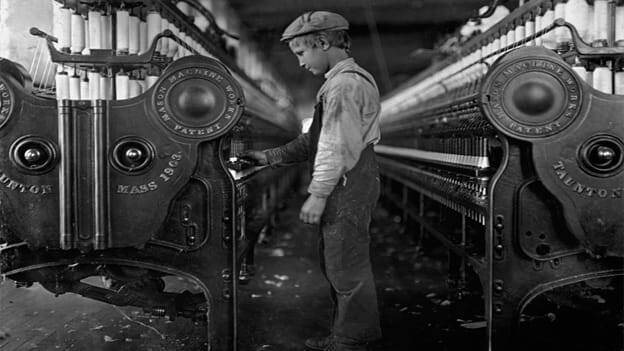 Other general legislation restricts employment child labor for a specific class of establishment. The international legal and policy framework dealing with child labor primarily includes the United Nations Convention on the Rights of the Child 1989, the ILO Minimum Age Convention 1973 and the Worst Forms of Child Labour Convention 1999. The Indian Judiciary has played a significant role in not only identifying and evolving the labor laws jurisprudence and the employment of child labor but have reinforced the same and directed implementation of the existing laws and programs. In the landmark judgment of MC Mehta v. State of Tamil Nadu (1996) 6 SCC 756, the Supreme Court referring to various fundamental rights and directive principles of the Constitution of India, held that children below the age of 14 could not be employed in hazardous work, and instead must be given free and compulsory education. The Supreme Court in Bandhua Mukti Morcha v. Union of India & Ors. (1997) 10 SCC 549, directed the States to take steps to frame policies to progressively eliminate the employment of children below the age of 14; provide compulsory education to all children employed in factories, mining, and other industries; ensure that the children receive nutrient-rich foods; and administer periodic health check-ups. Companies cannot be expected to replace the role of government. However, through their Human Resource team and the Corporate Social Responsibility (“CSR”) Committee, they may use their leverage and CSR initiatives to support human rights inter alia. They can 1) incorporating policies that envisage zero tolerance to child labor not only within the company, but its subsidiaries or sub-contractor, or supply chains, including in agriculture, manufacturing, and retail or any other third party engagements. If child labor exists, the company may exert influence on them to eliminate child labor throughout their business operations. 2) Communicating such policies and laws to the employees, prohibiting them from hiring children for any sort of work, including as domestic workers. 3) Educate workers and create awareness especially in the rural areas, where the company may be operating or otherwise, by setting up camps, etc. 4) Payment of adequate salaries to all the classes of workers and employees so that the children of such workers or employees are not required or encouraged to work as child labour in other establishments; 5) Investing, directly or in collaboration with NGOs, in education, healthcare & sanitation, rural development projects, and other facilities for advancement of the children and the community in general. Considering the lag in the reduction of child labour, there is undoubtedly a scope for some other specific measures in the existing framework including: (i) stronger penal provisions; (ii) effective fast track mechanism to deal with child labour issues keeping in view the best international norms and practices; (iii) appointment of officers responsible for implementation of laws and schemes relating to child labour, who are well trained and sensitised in this regard; (iv) awareness programs at block and zilla parishad levels and identification of vulnerable families and children by presiding officer of Zila Parishad, Panchayat Samiti and Gram Panchayats; and (v) reporting on child labour should be dealt with in isolation with other labour reports and returns and should be subject to rigorous auditing and supervision by responsible State bodies. There is an amplitude of laws, policies, and programs restricting and protecting child labors as well as reinforcing the rights of a child, however, the challenge remains in the implementation of these laws, policies, and programs and in parallel dealing with the other linked socio-economic factors. Inadequate enforcement of existing laws and legislation; lack of linkages with essential lateral services for children, for example, education, health, police, judiciary; etc. have hampered progress. The breakthrough on child labor was the enactment of CLPR Act that imposes a complete ban on employing children, with certain limited exceptions. Other legislation enforcing rights of children interalia includes the Right of Children to Free and Compulsory Education Act 2009 and the Juvenile Justice (Care and Protection of Children) Act 2000. Other general legislations interalia includes the Factories Act 1948, the Mines Act 1952, the Beedi and Cigar Workers (Conditions of Employment) Act, 1966, the Plantation Labour Act 1951, the Domestic Workers (Registration Social Security and Welfare) Act 2008 and the Shops and Establishments Act as enacted by the States.